In our annual Hangout Handbook, Exclaim! asks some of our favourite artists to discuss their favourite hometown haunts and hidden gems. Here, Andy Shauf opens up about his picks for Regina. There's a place called Country Corner Donuts (1470 Broad St.) that feels like a small town. They make cheap sandwiches and have big donuts and it's mostly retirees or blue collar people. They sell day-old donuts for cheap. It's one of the few remaining honest places in the city. We try to go use the outdoor hockey rinks — even if it's -30°C outside, we try to play a game of shinny every few days to make it bearable. And year round, there is an arcade called Wonderland (1729 Broad St.) where you can play Ms. Pac-Man or every other old arcade game unlimited for only $4. Or, you could get out of the city to the Qu'Appelle Valley and go for a hike or get ice cream in some exotic prairie town. On the west side of downtown, there's a shop called Norwood (2401 11th Ave.); it's a good spot for clothes, shoes and books. Across the street is Vintage Vinyl & Hemp Emporium (2335 11th Ave.) and next door to that is clothing store World of Trout (2323 11th Ave.), which has X-Ray Records in the basement. It's pretty much the only place to find new vinyl in the city. There's also a new shop called T+A Vinyl and Fashion (1130 15th Ave.) that is pretty good too. A vegetarian restaurant downtown called Green Spot Café (1812 Hamilton St.) is run by the nicest family. Their daughter (or granddaughter), who is maybe 8 years old, walks around greeting people and her artwork is on the walls. They also make great steamed buns and cinnamon buns. Sikome Lake is a man-made lake just south of downtown. 10 years ago, they drained the entire lake and dug it 10 metres deeper. I heard they found over 1,000 shopping carts. 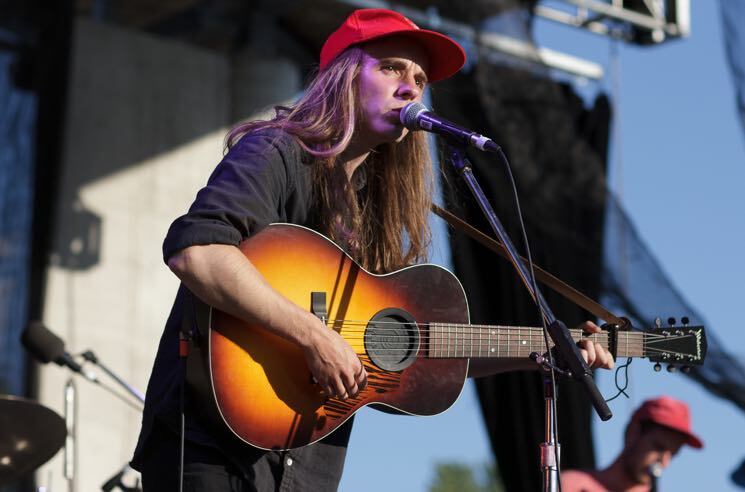 ​Andy Shauf is currently touring Canada in support of his new album The Party, out now on Arts & Crafts.